The long-running festival is known for its tunes, food, and the Poodle Parade. Poodles are royalty at the Santa Barbara French Festival. Oh la la it up on Saturday, July 18 and Sunday, July 19 at Oak Park. EVERY DOG HAS ITS DAY: Seems like it was just a few years back when dog happenings were fewer and none gave the spotlight to any one breed in particular. Oh, we're not talking about Westminster or any of the larger dog shows that hand out accolades and trophies; we speak of the more homegrown, public-serving gatherings that are basically big parties with a canine element. But dog bashes have gotten bigger and more plentiful over the last couple of decades, that's for darn tootin'. The internet may be partially responsible -- it is so easy to connect with fellow fur-lovin' dog people -- and just the fact that how we spoil our Fidos has changed, and blossomed, over time (they're a billion-dollar industry, and growing). So that we now have to-dos with a focus on a single breed shouldn't surprise, and that California has so many is not much of a shocker, either. Greyhounds gather in Solvang each winter, hundreds of corgis just took over a Southern California beach in the spring of '15, and Bastille Week in Santa Barbara means one thing: poodles and lots of 'em. They show up with the très charming Poodle Parade, the popular closer to the city's long-running French Festival. 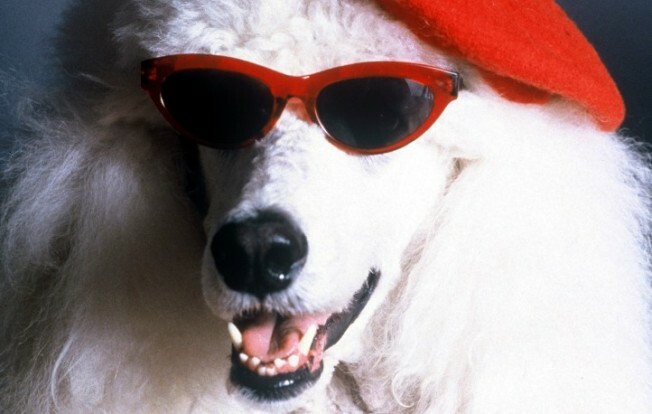 But poodles are pretty polite, as everyone knows, and thus it makes sense that other breeds are now invited to join the fluffy symbols of French Fido-dom on a fancy-fur strut at Santa Barbara's Oak Park. Yes, some dogs are in berets, and some wear can-can girl dresses, but all are cute as the dickens. FRENCH FEST, FROMAGE TO FANTASY: Of course, the French Festival, which got its Santa Barbara start back in the late 1980s, is more than a sweet gaggle of poodles and their pup pals. Dancing, eating, wines of all sorts, a fantasy glen full of fairies, a Moulin Rouge stage, and other pleasures best defined as Central-Coast-meets-18th-arrondissement shall prevail at the weekend-long soiree. And those dates? Just a pinch after Bastille Day, so that's a snap to remember: Saturday, July 18 and Sunday, July 19 is the weekend you'll want your beret-rocking poodle to be washed and ready to roll for Santa Barbara. Don't forget your stripey shirt.